Everyone should have a killer powder room. It is the one room your guests will see, so make an impact. Here is a friend’s powder room, which I completely adore. This small eclectic space mixes old and new--the modern white fixtures combined with a vintage brass and crystal chandelier and art deco mirror create a little jewel box . I love the way she placed a large painting, my “Flower Girl II," in a tiny space. The lovely eccentric rug from Anthropologie complements the painting and ties the room together. If you are think of sprucing up an old powder room, consider interesting wallpaper or a vibrant dark paint color. 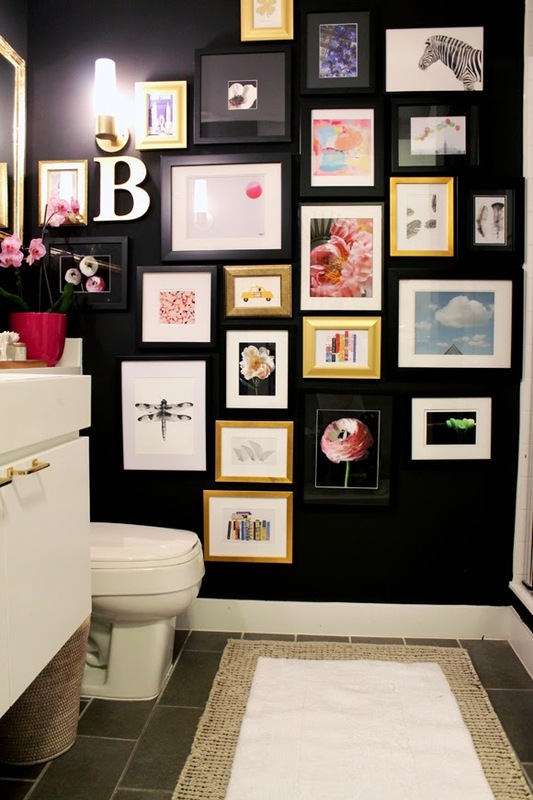 A powder room is your opportunity to go wild! Embrace the drama!! These are some of the powder rooms that I love and find inspiration from!